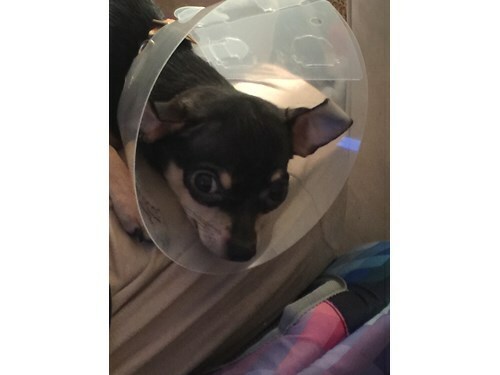 Small male chihuahua. Black with tan markings. Very sweet and timid.